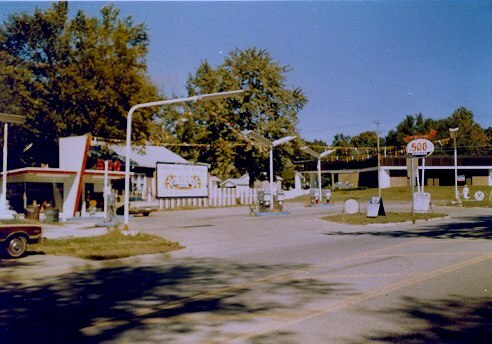 Sept 1977. 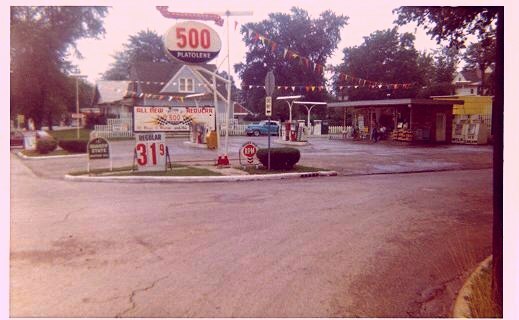 Unknown location but believed to have been in southern Illinois. 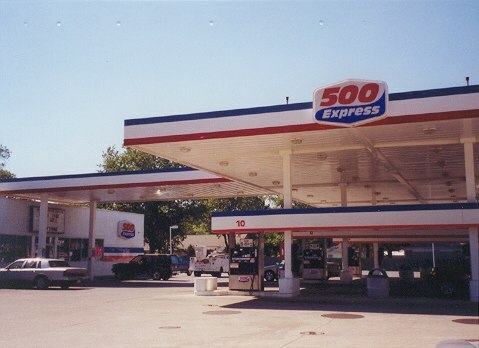 500 Express station at 1240 Ohio Blvd., Terre Haute, IN. Taken Sept. 17, 2003 by Walt Wimer. 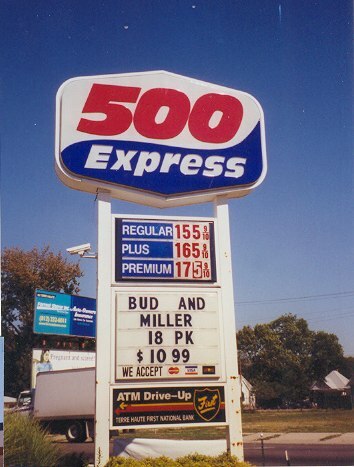 500 Express station at 2445 Hulman St. at 25th, Terre Haute, IN. Taken Sept. 17, 2003 by Walt Wimer. 500 PLATOLINE brand pretty much giving way to 500 EXPRESS in recent years. Photos and text by Walt Wimer. 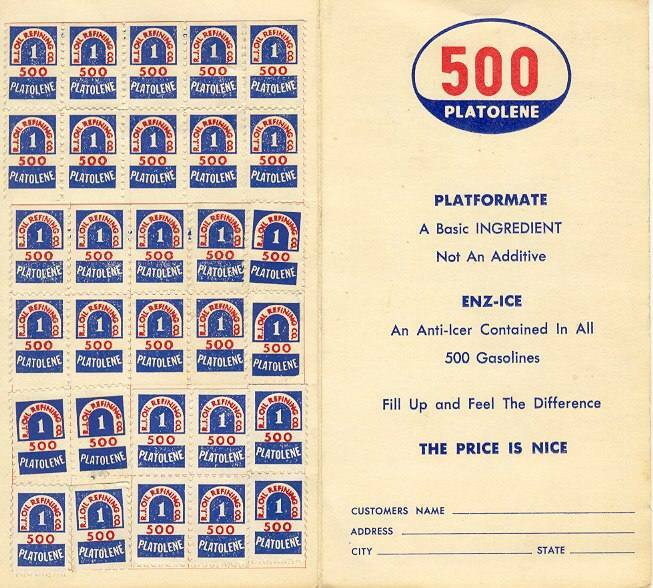 Here is a 1950s 500 PLATOLENE station photo off a matchbook cover. regular signage was porcelain signs like the logo on the older maps. were smaller dealer sites. 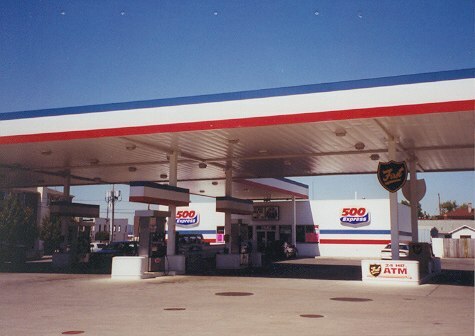 Location is Terre Haute, Indiana. 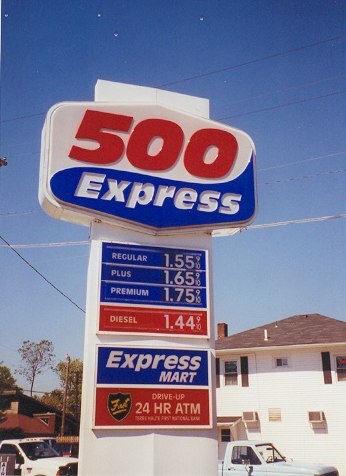 before they closed the refinery. I date it sometime in the late 60s/early 70s.